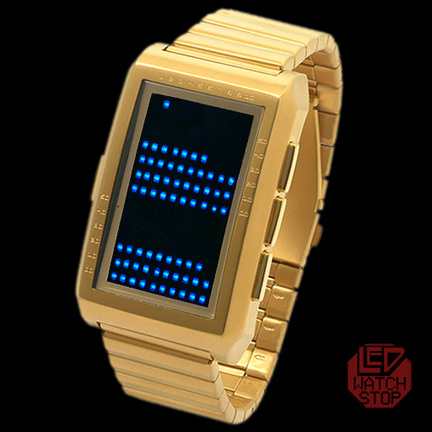 Multi function watch with state of the art LED display module developed by Cimtra labs in Germany. The display can switch from standard numbers to a dot matrix with unique time telling system. Featuring an extra large futuristic stainless steel case with full face mineralite glass lens and stout but comfortable metal bracelet. Definitely not your ordinary watch! set of of 60 dots on bottom for running seconds. set of 60 dots for minutes. 10 dots across the top for hours.